Prior to Cassandra 1.2, you had to calculate and assign a single token to each node in a cluster. Each token determined the node's position in the ring and its portion of data according to its hash value. In Cassandra 1.2 and later, each node is allowed many tokens. The new paradigm is called virtual nodes (vnodes). 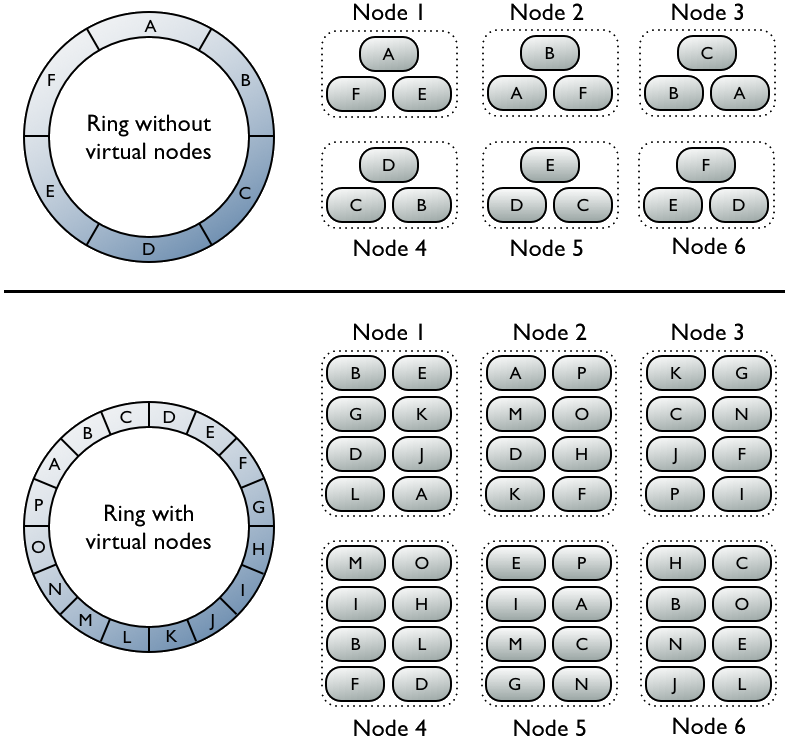 Vnodes allow each node to own a large number of small partition ranges distributed throughout the cluster. Vnodes also use consistent hashing to distribute data but using them doesn't require token generation and assignment. The bottom portion of the graphic shows a ring with vnodes. Within a cluster, virtual nodes are randomly selected and non-contiguous. The placement of a row is determined by the hash of the partition key within many smaller partition ranges belonging to each node.